The Milwaukee Brewers will have a new first baseman in 2017. 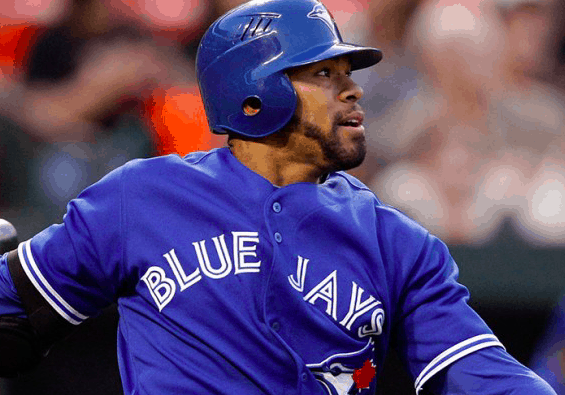 The Brewers confirmed on Tuesday that they have signed Eric Thames to be their first baseman next season. Thames, who spent the last three seasons playing in Korea, has agreed to a three-year deal with Milwaukee worth $16 million, with an option for a fourth year. To make room for Thames on the roster, the Brewers designated Chris Carter for assignment. Carter was Milwaukee’s primary first baseman in 2016, contributing 41 home runs and 94 RBIs despite a disappointing .222 average. Even before the signing of Thames, the Brewers reportedly had plans to non-tender Carter, as he would have made more than $10 million in arbitration. Despite being one of the best power hitters in baseball last season, the Brewers were not interested in making Carter their every day first baseman again in 2017, as he does not bring much to the table in terms of speed, defense, or hitting for average. The Brewers now have the option of trading Carter within the next 10 days if they can find a suitable partner. Carter would fit best with an American League team, as it would allow him to spend time as a DH. Teams that don’t think they have a chance to land top-tier hitters who profile as a DH like Edwin Encarnacion, Carlos Beltran, or Mark Trumbo may call the Brewers about acquiring Carter. If he’s not traded, Carter should have no problem finding a job on the free agent market after his power display last season. As for Thames, he returns to the big leagues after spending the last three years playing in Korea. 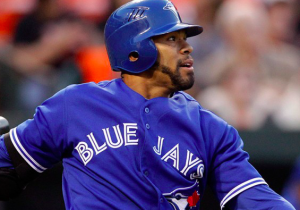 He spent the first year and a half of his major league career with the Toronto Blue Jays before being traded to the Seattle Mariners in July 2012. Thames then spent the entire 2013 season in the minors before leaving for Korea, where he played with NC Dinos for three seasons. Thames excelled during his time in the Korean Baseball Organization, hitting .343 in both 2014 and 2016, hitting 37 home runs in each season. However, his best season was in 2015 when Thames won both a Gold Glove and the MVP award, while becoming the first player in KBO history to hit 40 home runs and steal 40 bases in a season. Few players have made the jump from the KBO to the big leagues, as Korean baseball is considered by most to be on par with triple-A or double-A. However, Jung-Ho Kang of the Pittsburgh Pirates has been able to translate his success in Korea to the majors. Thames also has previous experience playing in the big leagues, albeit with limited success, so the Brewers are taking a slight risk by signing him with the expectation that he’ll be their every day first baseman.